Hide deals from seller "Restaurant La Esperanza"
Limit 1 per person and 1 per table. Valid toward items from the seafood, meats, authentic Mexican food and chicken menu only. New customers only. Dine-in only. Promotional value expires 30 days after purchase. With colder weather comes an abundance of comfort food that can make us sink into a hibernation-like state. Spice up your meals before the summer ends with 50% off Mexican cuisine from Restaurant La Esperanza in Pilsen ($50 value). This deal includes any delectable items from the seafood, meats, authentic Mexican food and chicken sections of their varied menu. In business for four years, Restaurant La Esperanza serves a variety of authentic Mexican food including huitlacoche, homemade tortillas and flor de calabaza. 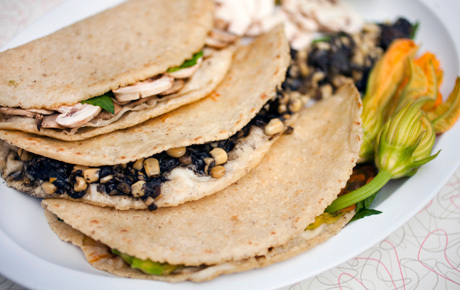 Customers rave about the delicious quesadillas, the affordable prices and the friendly staff. Bring a bottle of your favorite drinks, a group of friends and enjoy mouthwatering Mexican fare with this exclusive End of Summer deal. Authentic Mexican restaurant in Pilsen serving traditional and specialty cuisine.